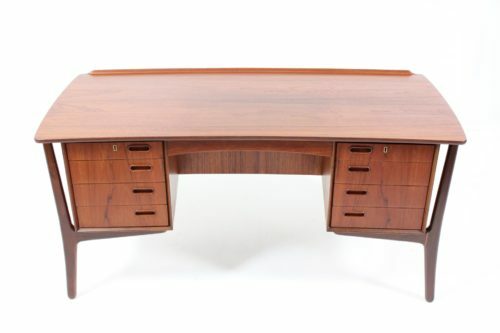 Writing desk model no. 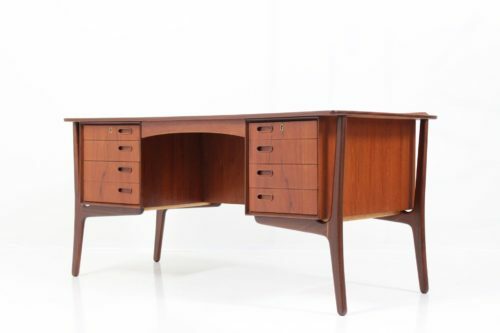 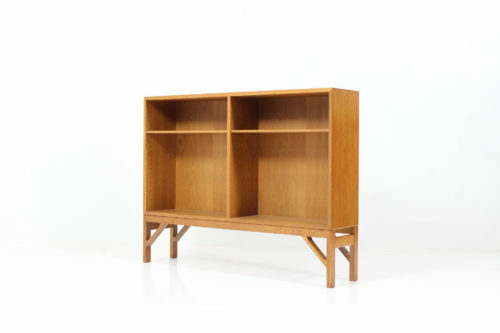 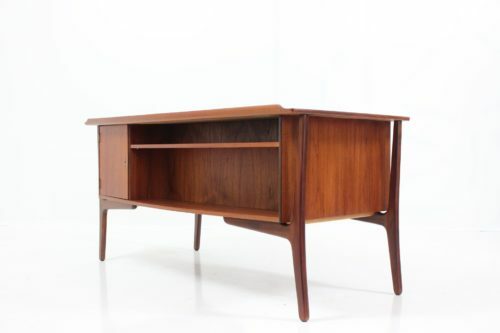 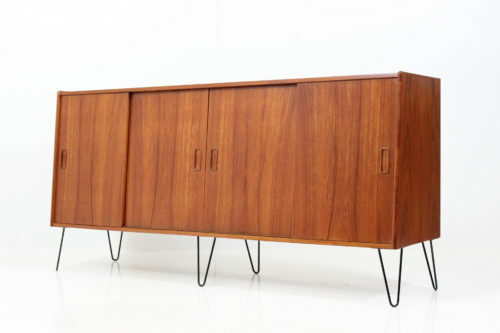 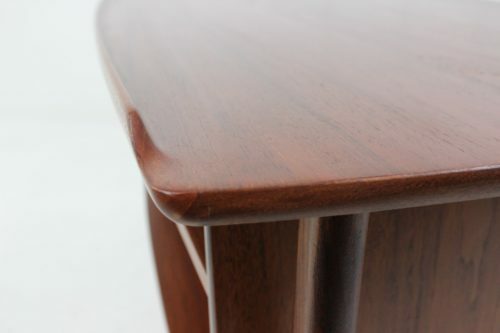 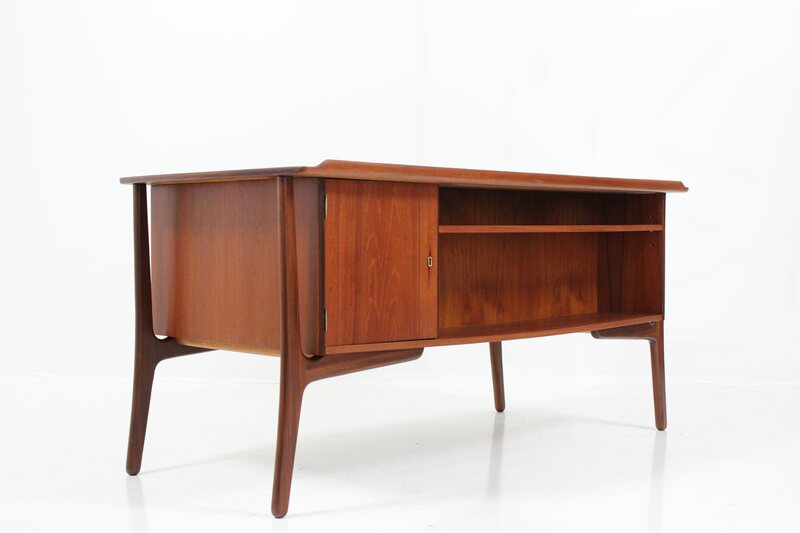 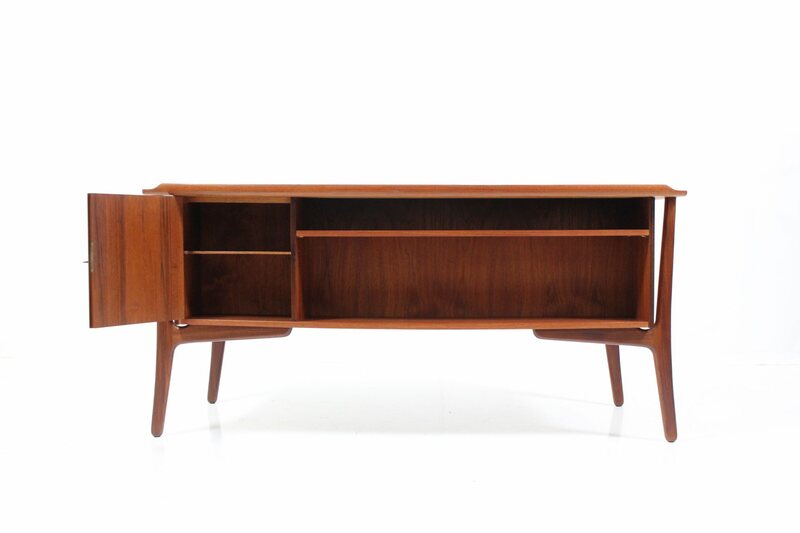 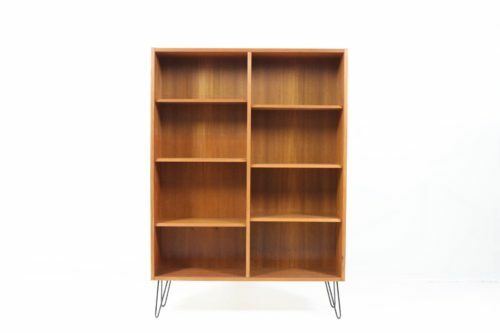 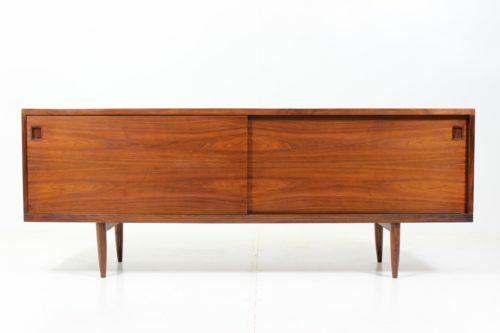 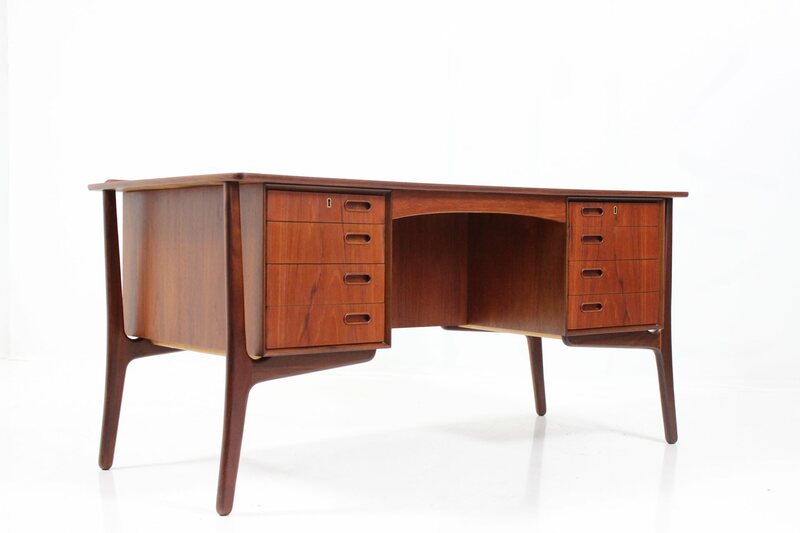 20 in teak by Svend Å. Madsen for H. P. Hansens Møbelindustri featuring sculpted top desk, 8 front drawers (2 locking) with beautifully crafted inset handles. The desk features also spacious book shelves in the rear side. 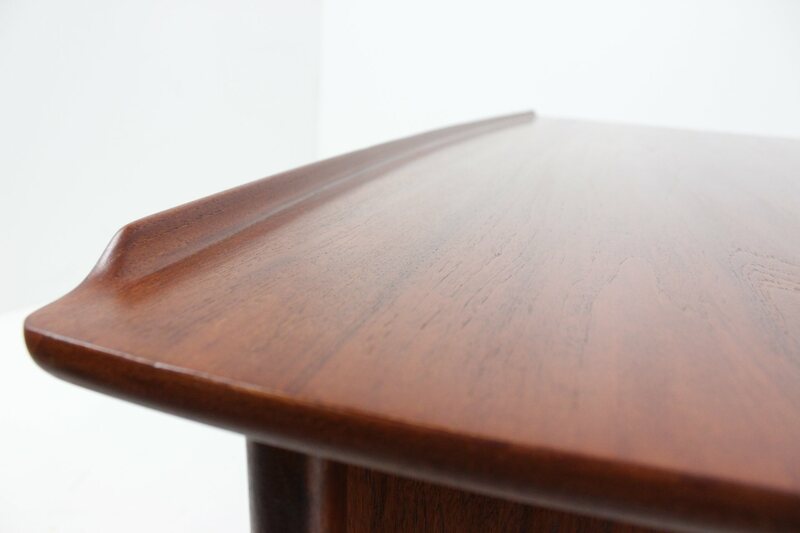 Carefully re-polished, very good condition. 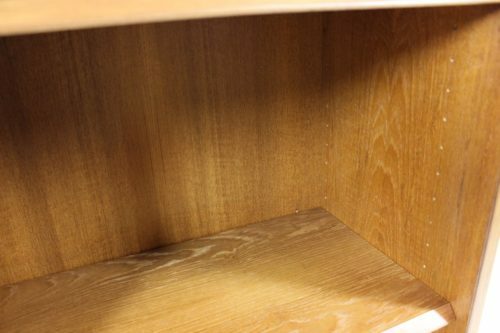 Category: Archive. 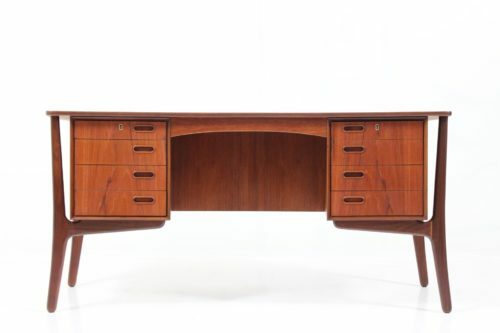 Tags: danish, H. P. Hansens Møbelindustri, S. Å. Madsen, Teak, Writing desk.